Taxi services are so widespread and common it seems that the taxi industry should have itself figured out and under control. Obviously, this isn’t the case. Sure, new startup companies like Über and Lyft are starting to innovate and revolutionize the marketplace, but traditional taxi providers are still extremely relevant and act as such. The difference between taxis in Budapest and New York City is dramatic. New York City’s taxis are driven by (excuse the generalizations) frustrated, often unfriendly people. There are few dress requirements – it’s always a surprise. The taxi experience in New York is different every time one steps foot in a taxi. Sometimes there’s music, sometimes there’s a fresh scent, sometimes the seats are comfortable. This gives traditional companies a bad image. Nothing is standardized so they are being replaced by companies that are successfully standardizing a difficult to standardize industry. Consumers want what they expect – nothing less. Budapest taxis are much better standardized. Every time you step into one of these taxis, the cars smell good, drivers are well dressed, and are polite. Even further, they understand English enough to professionally communicate with western tourists. 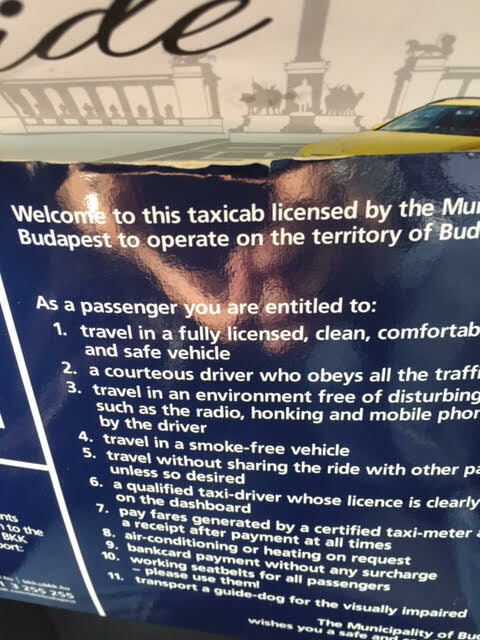 As you step into a taxi in Budapest, you will be greeted and asked if you would like to listen to music. If you don’t want to listen, they won’t make you listen the music they like. As a passenger you are entitled to travel in an environment free of disturbing such as the radio, honking, and mobile phone by the driver. Perhaps this is why these standardized companies like Über and Lyft have had less success integrating into Budapest than they did integrating into New York City. 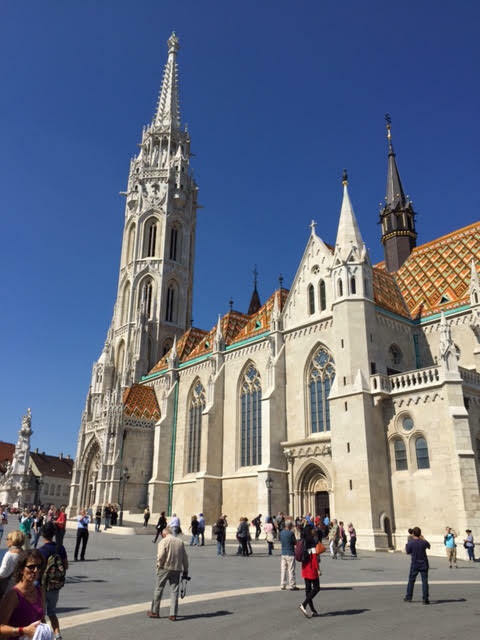 Budapest’s taxi experience is far superior to that of New York’s. What has is your most favorite taxi experience? Tell us on Twitter @nycimageacademy. It seems that suddenly, the holiday season is upon us. For many, the arrival of Thanksgiving and Christmas provides a sense of excitement. There are gifts to open, trips to plan, and memories to be made. Through the season, professionals at all levels are invited to corporate events and holiday parties. For many, these parties can provide a place to network, mingle, and bond with colleagues. For some, this setting can be intimidating. Dressing to impress can make all the difference. In the coming weeks, whether you’re attending your first holiday party or the third already this season, strategize early on about the way you present yourself at such parties to set you up for greater success. Use the tips below as your checklist to ensure (relatively) calm nerves, and hopefully, an entertaining season of parties! What Should I Wear to My Company’s Holiday Party? Rock the best fit for your body! Select a dress that fits your body well, and colors that compliment your complexion. Dress appropriately. Think about the time and location of the event, and listen to weather reports prior to getting ready. Bring an alternate pair of shoes to the office just in case! Be tasteful and above all, be professional. Remember, it’s still business. Don’t wear items that are too short, too tight, too revealing, too loud, too casual, or untidy. If your mother can see through your top, wear a camisole under it! Keep it in check! 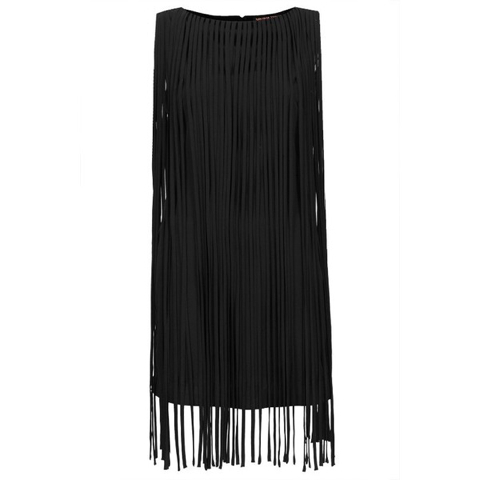 Select a dress that stays in place and can handle moving around a room with a drink in hand. What is the Proper Etiquette at a company Holiday Party? Always RSVP. Don’t assume that because it’s a company party, you don’t have to RSVP. RSVP is a French expression, standing for Repondez s’il vous plait, which means “Reply if you please”. We suggest, as a matter of common courtesy, that you always respond “yes” or “no” within 48 hours of receiving the invite. Don’t drink too much. It may be all about the spirit of the season, and your party may be offsite, but, it’s still a business function. Don’t lower your guard. Keep a positive attitude and body language. Try not to carry any stress from home or the office to holiday parties. Maintain a smile and seasonal spirit, and watch your body language. Do not stand with your arms crossed, and do not stand in the corner. Behave the same as you would in the office. Keep in mind that some companies invite clients, partners, and other important guests besides to holiday parties, in addition to your day-to-day colleagues. So, be on your best behavior! Send a thank-you note or email. A special event deserves a special acknowledgment of appreciation. Pulling off an event for a large group of people takes a lot of work, and deserves an extra spot of praise. What’s Best Behavior during a Holiday Party? Smile often. Speak less, and listen more. Don’t stick to your usual crowd. Introduce yourself to others in the room. Remember, informal connections made outside the office can pay huge returns next year! It’s a holiday party! Don’t just talk about business or personal issues. Stuck for words? Some easy conversation starters are: food, travel, shopping trips, current events, and New Year’s resolutions. Engage in appropriate conversation with spouses and other guests, if spouses or dates are invited. With the mass amount of dress options men have, it has become very difficult for them to correctly style themselves. Let’s walk through some of the details of a man’s outfit to highlight what exactly needs to go where and what should be focused on. The pocket is not always just a functional piece of a suit. Flap pockets are considered stylish; the little pocket above the primary front pockets on the suit jacket is called a ticket pocket. It comes from British influence and is a great place for business cards. When it comes to the fit of the suit, it should contour to your body. Sleeves should be slim and tailored to form your figure, ending just above your wrists. Around half of an inch of your collared dress shirt should show past the jacket sleeve. The jacket should hug your shoulders. Nothing should be loose or baggy, a modern suit is meant to be slim. The lapels of a modern suit should be no wider than two inches at its widest point. To create a slimmer look, two buttons positioned low on the suit can help. These lower buttons should be buttoned. A back vent is okay; a jacket can have either a center vent, side vents, or (most often for tuxedos) be vent-less. Like the rest of the suit, the pants should be slim and have a flat front. They should touch the tops of your shoes and not bunch together. A light colored linen is perfect for the summer as it is breathable. For the winter, heavy flannel is able to be worn. Wool is great for all seasons while cotton is great for every season but winter. Men have a lot of ‘fabric freedom.’ It’s important, however, to remember that colors are crucial to a successful styling. Typically, the brighter it is outside, the brighter the clothing should be. Bright colors are for the summer, earth tones are for the winter. For casual events like cocktail get-togethers, men can wear either a suit with a dress shirt and dress pants or a tuxedo jacket with a light-colored shirt and no tie. Fortunately, casual settings are pretty forgiving. It’s better to be overdressed than underdressed. For formal events, a suit with a nice shirt, tie, waistcoat and trousers works very well. Lighter colors should be worn in the daytime along with suit variants like blazers. Tuxedos are best for ultra-formal gatherings. The tip of the tie should land at the top of your beltline. No lower, no higher. They should, obviously, match the fabric of the suit and shirt, the level of formality of the event, and the season. Bow ties are most often worn for formal events, although, in recent times, men have been increasingly wearing bright-colored bow ties casually. The bow tie should not be broader than your neck and should never extend past the tips of your shirt collar. Pocket squares should be folded up to have a square, triangle, or flowering shape and should be placed in the high front pocket of the suit jacket. The more formal the event, the more elaborate the folding of the pocket square. The shoes must match the belt. Wingtips and Derbys are best for casual outfits while Loafers and Oxfords are best for formal outfits. What is your favorite fabric? Tell us on Twitter @nycimageacademy.